I'm a proud father of 3 boys. Two of which are on the spectrum. My oldest son (diagnosed at 2.5 years of age) has been the ongoing inspiration for the creation of the group. I thought this would be a great way to combine the amazing RC hobby that we love and enjoy as a family, along with key opportunities to work on his social skills. I personally strive and work hard to raise Autism Awareness. Ensuring we always get the message to promote unconditional acceptance. Letting the world know that we may be different but we shall never be considered less!! I have enjoyed this hobby off and on since I was a child. I started building crawlers and scalers steadily since 2014. When I'm not found on a trail with a RC truck and my kids, you'll find me cruising the street with my knees in the air. I am a proud husband who married his high school sweetheart. My wife has been my backbone and my support since we were kids. We love to travel abroad as often as possible, the Caribbean being one of our favorite destinations. My mom raised me to be humble with a strong moral compass. Her drive to provide for me as a young man taught me what it means to set goals and push through them. She’s a strong woman and taught me at an early age that everyone is equal. I believe this is where my inspiration for #AllInclusiveNonExclusive came from. Although I was raised as an only child, I later found out that I am the middle of 5 siblings. I connected with them in 2010 and we’ve spent as much time since making up for lost time. Our bond has grown to be so strong, it’s not uncommon to hear that people think we were all raised together. My siblings have blessed me with many nieces and nephews. My nephew JayVonnie was diagnosed on the spectrum and, has quickly joined the group of amazing kids who inspire us to push through our mission to raise awareness. I am a member of the Suisun Masonic Lodge in Fairfield, CA, and sat as Master of the lodge in 2014, earning me the title of Past Master, Suisun Lodge #55. Masonry has been a huge part of my life allowing me the opportunity to give back and become a better man. When Oscar and I first met, we bonded so quickly. Like my blood siblings, he quickly became my brother and we were often thought of as the dynamic duo. His family, his kids quickly became my family. At the time, I was unaware of how Autism affected families in their homes; and yet oddly also unaware of how ASD would align itself with my life. He came to me with a crazy idea, I took on his mission as my own and together we built ASD Crawlers. Originally, it was to create an environment which leveled the playing field, where people were aware and accepting and supportive. But it quickly grew to be so much more. 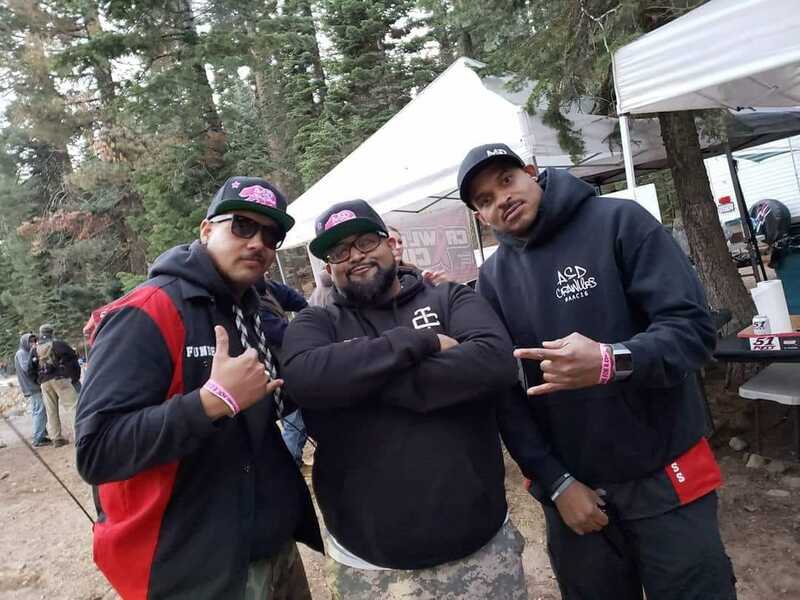 ASD Crawlers quickly became a movement, a movement for awareness and a movement to raise funds to donate towards the cause. It wasn’t until we were well into our 1st year that I would learn that my own nephew would be diagnosed on the spectrum. JayVonnie, Oskie, Oliver and our other ASD Jr. Drivers are our drive and inspiration to keep the momentum moving forward. I've been into RC for many years of my life, but have only gotten into scale crawling since 2015. I love the RC Hobby and I am a true believer in #OneRCCommunity. ASD Crawlers as well as the mission we stand behind has truly allowed me to meet some great people, I'm excited to watch our community continue to grow in the future. I enjoy helping people out both on and off the trail. When I'm not being hubby, crawling, or promoting Awareness through ASD Crawlers, I am hiking and fishing in the mountains. My name is Ashley. Although I mostly go by mom or babe these days! First and foremost I am the wife of an amazing, supportive, creative and passionate husband. Those of you know him as Oscar. To me, he is my best friend. He inspires me daily. My children are my passion, and they have brought meaning to my life beyond what I can sum up in words. When my oldest was diagnosed at an early age, I made the choice to be his advocate. To me this meant learning everything I could to help him. So I changed my major for college. But little did I know that this wasn't just going to be about my son. This ended up being a passion for me! What I learned throughout my bachelors and my masters has changed my perspective as both a parent and as my son's advocate. The path I chose was to become a Board Certified Behavior Analyst. The path my son lead me on was to become a teacher to those who need guidance in the ever complex world of Autism. What I love about my career is that I am able to be a life long learner - which is what we all need to continue to grow and thrive. I love that I am able to use my knowledge of evidence based practices for all the children and young adults that I work with daily. To advocate for them, to help them gain their own means of independence. I love that I can teach others to do so as well. And hopefully along the way inspire others to have the passion that I do for all of our "differently abled" youth. I owe the fact that I love my career and path in life all to my unique child. That's not to say that living, breathing and working within the Autism community is a walk in the park. Autism doesn't stop, ever. It is apart of ones daily routine, a life style change, and a different perspective of life. Is it hard? Yes. But is it worth it? Beyond all measure. I love to support my husbands passion of growing this community that he has built with ASD Crawlers. As a wife, a mother, and a part of the "ASD Ladies", saying that I am proud of this group and all that they are able to bring to our community is the least I can say whenever I am asked about it. ​I have been in the hobby for about 2 years. For me it started when I was gifted my 1st RC car when I was a kid. I wrench on it at the LAB along with my brothers Brandon Tomy and Oscar Ramirez. Shortly after I learned of RC crawling. I borrowed a crawler and went on a couple trial runs with Oscar and Brandon. I was surprised to see how many others were into this hobby. Shortly after ASD crawlers was created and the first ASD event was planned. It was overwhelming the number of supporters that not only came out to crawl but supported the cause in which ASD was made. To bring awareness and knowledge of Autism. After my first event, I knew this was something that I wanted to be a part of. Especially after finding out I have another nephew that is on the spectrum. I am truly blessed and humbled to be apart of this amazing community, and family that is ASD Crawlers. 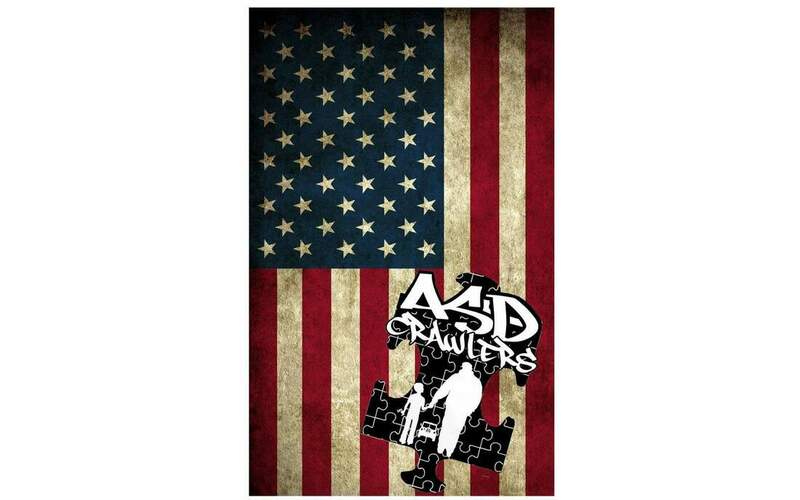 ​It is a huge honor to be a part of the ASD crawler family. I have a great amount of respect for the skill and expertise needed to crawl. While I don’t crawl often, when I do, I enjoy crawling in Bodega Bay, CA with my husband. What I love about ASD Crawlers is that it is an all-inclusive group. ASD Crawlers celebrates differences and makes the hobby approachable for every skill level. Having a blast and creating challenging courses while helping to educate is a perfect way to raise Autism Awareness. Being the parent of a child on the spectrum can be demanding but it is always extraordinarily rewarding. My name is Adam Nudelman and I have been in the RC Crawling world since 2007 when Axial first released the AX10. Though I have always been in remote control trucks since I was young starting off with the RC10. I had been in the 1:1 Rock Crawling world for some time before RC crawling though I found out its much easier to transport your rigs. Hanging out /Meeting new friends is the best part about this hobby. Meeting Brandon and Oscar has been a blessing as both men are truly amazing people. Being part of ASD Squad is an honor and proud moment to raise Autism Awareness. ​I got into the hobby 15+ years ago. Every chance I get I am out on the rocks or in the lab building. The last few years I have been co-hosting the local points series and doing as much travel for the sport as I can. I am always out to help my fellow crawler and take great pride in my builds. About a year ago my brother in law, which is on the spectrum moved in with us and I have loved the adventure. I help the wife out with all of her charity work when it comes to the cause and I am right there walking with her every year. Being apart of this squad is a great honor. ASD Squad Member Team Driver of Reef’s RC Products. ​I have been in the hobby off and on since I was 11. The last five years I have made it a large part of my life. Being part of ASD Crawlers has truly been an honor. I’ve had the opportunity to meet some amazing people. Driving RC cars, crawling and flying drones gives me an opportunity to focus and enjoy being outside. I am an extremely proud parent to three amazing boys. Being a parent to a child on the spectrum teaches you so many things but the best of all is unconditional love, support and of course different is not less. ​I got into the hobby a few years back when Matt and our son Nate really got into being out on the rocks. I am the one you normally see helping out our sponsors at events or playing with the kids, lol. Meeting Brandon and Oscar and being a part of this is an honor. Being the big sister of someone on the spectrum and watching him grow daily has been a blessing. I do the annual Autism walk with my Hubby of course and I am always out there supporting the cause.